Ephemeris is the third full length release from Icelandic Death Metal titans, BENEATH. The album was recorded, mixed, and mastered by Fredrik Nordström (Arch Enemy, Dimmu Borgir, In Flames, At The Gates, etc. ), at the acclaimed Studio Fredman in the fall of 2016. After the departure of founding member and drummer Ragnar Sverrison, BENEATH teamed up with Mike Heller (Malignancy, Control/Resist, Fear Factory) to handle the drums for the album. The result is nine tracks of relentless brutality; an odyssey through the forthcoming millenniums of exponential colonization of planets and galaxies by human induced technology; a world where technology has gone way beyond the frontier of the imagination. BENEATH was formed in 2007. The band released their first EP, Hollow Empty Void, in 2010 which landed them a record deal with Unique Leader Records. 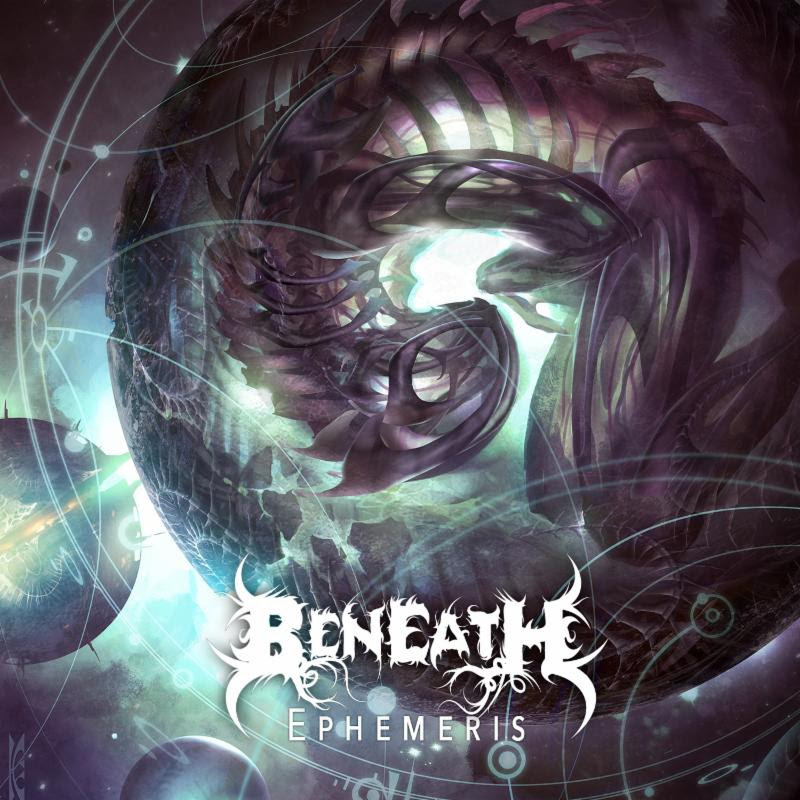 In 2012, BENEATH released their first full-length, Enslaved By Fear. The album was mixed by Daniel Bergstrand (Behemoth, In Flames, Meshuggah) at Dug Out studios in Uppsala, Sweden. In 2013, the band headed to Bialystok, Poland to record their second full length, The Barren Throne, with legendary Death Metal producers, Wojtek and Slawek Wieslawski, known for their work with bands like Decapitated, Vader, and Behemoth. The record was released in April 2014 to stellar reviews with No Clean Singing crowning it, “one of the best albums of the year,” hailing their special brand of, “dynamic, intricate Death Metal with a touch of somberness and depressive melody.” Angry Metal Guy concurred, “The Barren Throne is the culmination of … [all the] anti-religion, hate, death, blood, and gore of Enslaved By Fear only this time it’s dragged out across a lengthy eleven grueling abominations,” while The Sludgelord championed the record’s meticulous fusion of, “black, death, and a little bit of prog, all mixed within a cauldron of dark imagery and a tale of a dark being awakening and creating a world of despair and destruction.” 2017 welcomes Ephemeris. This entry was posted on July 3, 2017 at 8:14 pm and is filed under Heavy Metal, Metal, metal music, Music, news, rock music, world news with tags beneath, Death Metal, Heavy Metal, metal albums 2017, metal odyssey. You can follow any responses to this entry through the RSS 2.0 feed. You can leave a response, or trackback from your own site.